Nearly half of all the participants at Pegasus Project receive partial to full financial assistance for riding fees. While we are pleased to say that since the inception of our program in 2003, riding fees have remained the same, the expense to provide therapeutic riding lessons continues to grow. 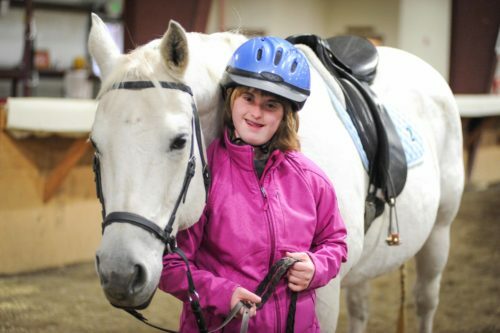 Because therapeutic riding impacts the lives of the individuals we serve with special needs, Pegasus Project is committed to making its program services affordable to all those that have a desire to participate. By sponsoring a rider for a session or a full year, you are ensuring that the life enriching activity of therapeutic riding remains accessible to those with special needs that might not otherwise be able to afford it. Allowing a Pegasus Project rider to take part in therapeutic riding activities through sponsorship is a wonderful way to show your support.